Ya Ya Creations Silver Bead Rim Glass Charger Plate 13"
Home > Products > Ya Ya Creations Silver Bead Rim Glass Charger Plate 13"
Elevate the look of your tabletop with the Ya Ya Creations Silver Bead Rim Glass Charger Plate 13". 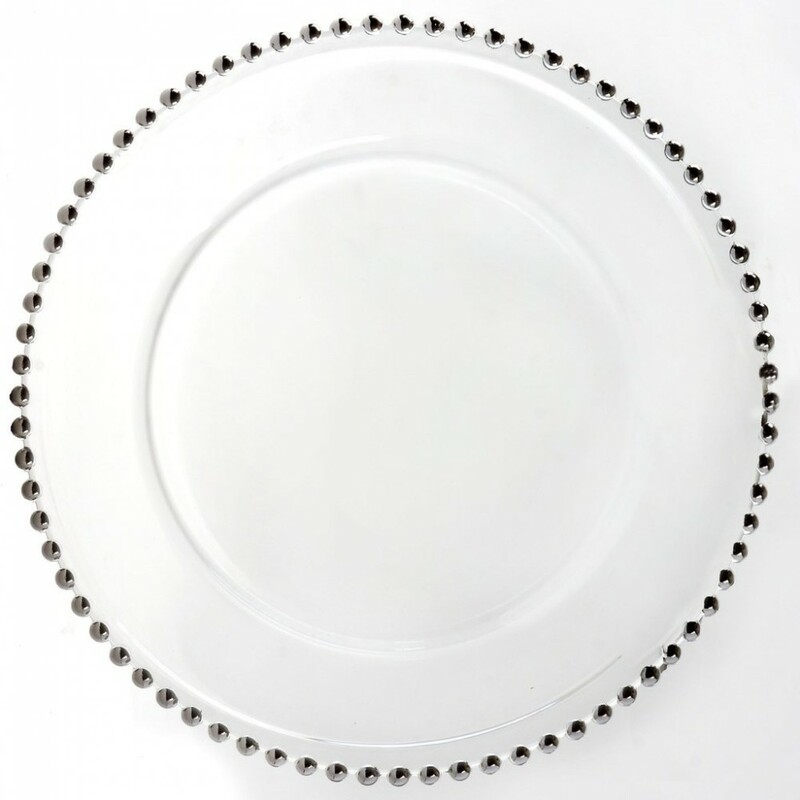 Perfect for weddings and special upscale events, this charger plate is designed with delicate-looking beaded detailing along its rim, adding a romantic charm to any setting. Boasting a lustrous silver finish, this charger plate easily complements bright white plates or glazed ceramic dinnerware. Thanks to its premium quality glass construction, this charger plate combines unsurpassed elegance and outstanding durability. Perfect for multi-course meals, this charger plate is large enough for any size plate, platter, or bowl and provides protection against spills and mess.